If you own your own business, it’s safe to say you’re always on the clock. In fact, you might be switching between sales, leadership, financial services, and HR multiple times each day. While that can be fun, and probably necessary in the beginning, it isn’t too long before you begin to feel over-extended and possibly even burned out. It doesn’t have to be that way. If you can learn to delegate effectively, you can do less, but actually accomplish more. While it’s a given that you want to keep your finger on the pulse of what’s happening in your company, and make sure that tasks are being done correctly, you can do that without having to actually do the task yourself. You simply have to delegate. 1 – Start early. Don’t wait until you’re at the end of your rope to start passing off tasks to team members. Pay attention to your workflow and prevent another late night or weekend at your desk. Start with the small and simple, and train an employee to pick up the slack. After a few successful hand offs, this could very well be the person(s) that not only handles your overflow, but can take the lead on certain tasks. 2 – Be clear. There’s nothing harder than trying to read someone’s mind. That’s why it’s imperative that you take the time in the beginning to define scope and timeframe on any item that you pass off. Establish responsibilities, determine a project leader, and make time to address any questions or points of confusion early on. That will prevent problems down the line and make sure the task is done correctly, and on time. 3 – Choose wisely. You don’t want to delegate tasks out to just anyone. This, like any other responsibility, this needs to be assigned strategically. Don’t hand a financial spreadsheet off to someone weak in math, or a sales project off to someone with no background. Look for knowledgeable, attentive team members with relevant experience. This will not only speed up the process, it will save you time on the back-end correcting mistakes. 4 – Empower your team. 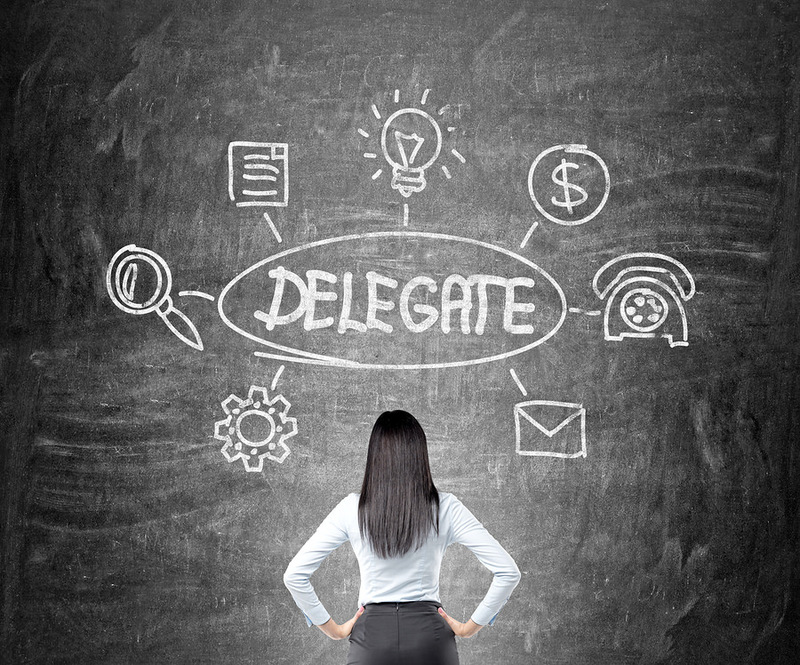 Delegating a task is one of the best ways to motivate and empower your staff. You are not only expressing your vote of confidence by entrusting something to your team, you are providing them with the perfect opportunity to exhibit their own problem-solving, creative skills, and perhaps set the stage for their own advancement. 5 – Remain committed. Teaching and learning aren’t necessarily quick and easy processes, especially on a task you’ve always handled yourself. Be patient, remain available, and remember, the work you put in now can pave the way for easier hand offs in the future. Even if they put in the work but fall short, use the experience as part of a learning process for both of you. Determine where the project went wrong and determine how future projects can be handled better. You’re busy and your time is valuable, so any time you can delegate work for less than the cost of doing it yourself, do it. Outsourcing is also a popular choice for many growing business owners, and often follows the same steps. By outsourcing complex, time-intensive tasks, business owners can save time and resources, for example, payroll is one of the most cost-effective processes to outsource. Ultimately, delegating and outsourcing will free you from all of the details, which will allow you to focus on what you do best – building your business.